• Monday Night Beginner's Class Now Accepting NEW Students! • Taught by Coach Chen Huixian. 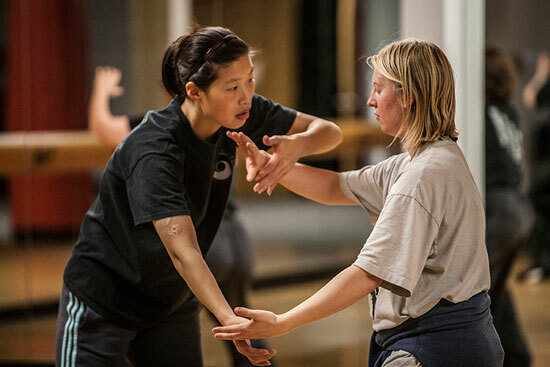 • Students will learn the fundamentals of Chen style Taijiquan, including Silk Reeling exercises and begin learning Form movements. • Ongoing classes, meeting once a week. • Monday nights from 7:30pm – 9:00pm. • To enroll, please call: 913-579-7444 or email kctaiji@gmail.com. • Tuesday Night Beginner's Class Now Accepting NEW Students! • Students will learn the fundamentals of Chen style Taijiquan, including Silk Reeling exercises and the 18 Essential Movement short form. • Ongoing classes, meeting once every week. • Tuesday nights from 7:30pm – 9:00pm. • To enroll, please call: 913-579-7444 or kctaiji@gmail.com. • Taught by Head Coach Chen Huixian. • Students will begin learning Laojia Yilu (Old Frame First Routine) long form. • Wednesday Night Beginner's Class Now Accepting NEW Students! • Wednesday nights from 7:30pm – 9:00pm. • Students will learn the fundamentals of Chen style Taijiquan, including Silk Reeling exercises and the beginning form movements. • Saturday mornings from 9:00am – 10:30am. • Chen Huixian is available for Private Instruction. 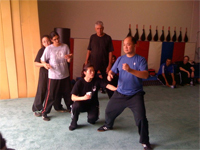 • Chen Huixian is now available for Online Taijiquan Instruction via Facetime, Skype, etc.